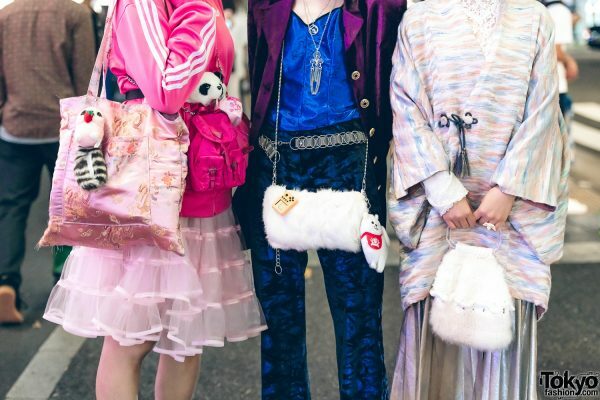 We stumbled upon three stylish ladies clad in striking ensembles while walking around the streets of Harajuku. On the left is PinPin, who is a visual artist in an Adidas pink zip-up jacket with a vintage top and Asics sheer ruffled skirt. 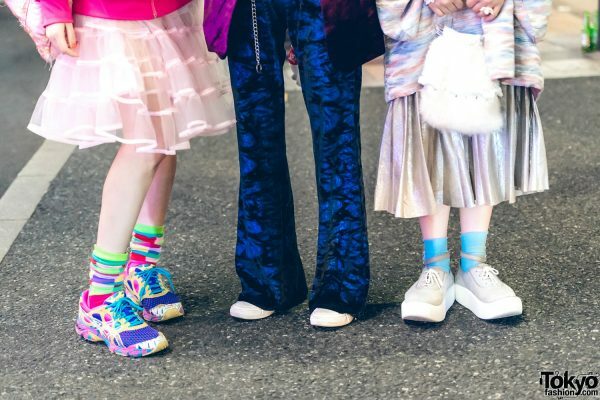 She styled them with colorful socks and multicolored sneakers with blue laces. PinPin capped off her look with raven curls adorned with a Jenny Fax hair pin, a Prada pink bag, a pale pink tote bag, and oversized glasses. She considers W&LT and Jenny Fax as her fashion favorites. For social media updates, follow PinPin on Instagram. In the middle is Fish Allier, a makeup artist and model with bright yellow hair. She dressed up in vintage pieces, including a purple silk satin jacket and a blue top with contrasting black piping. Fish Allier also wore Converse blue-and-black pants and white sneakers. She finished off her look with a vintage bag and accessories, including silver chokers and layered necklaces. Little Treasure is Fish Allier’s fashion favorite, and you can follow her on Instagram for more style updates. Meanwhile, Teiyu donned a vintage printed kimono coat over a vintage white lace long-sleeved top. 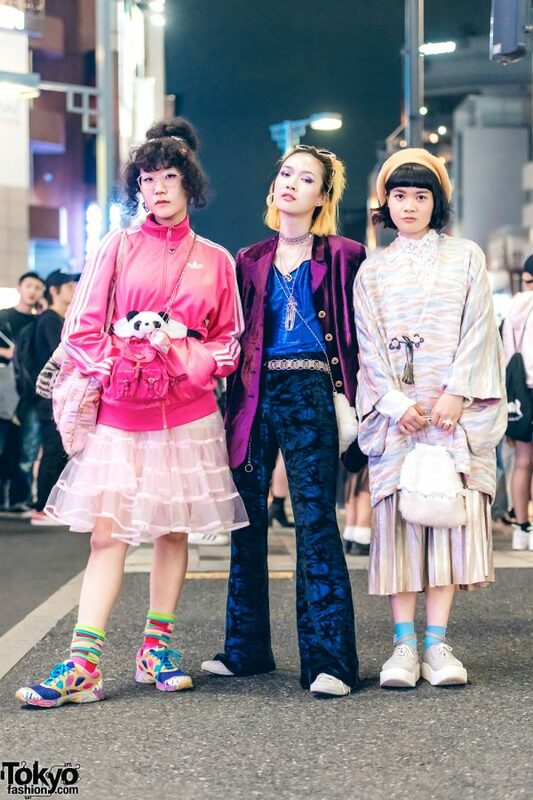 The 20-year-old student styled them with a pleated skirt, blue socks, and Tokyo Bopper platform sneakers. She rounded out her look with a yellow beret and handmade accessories, including a white fuzzy handbag. 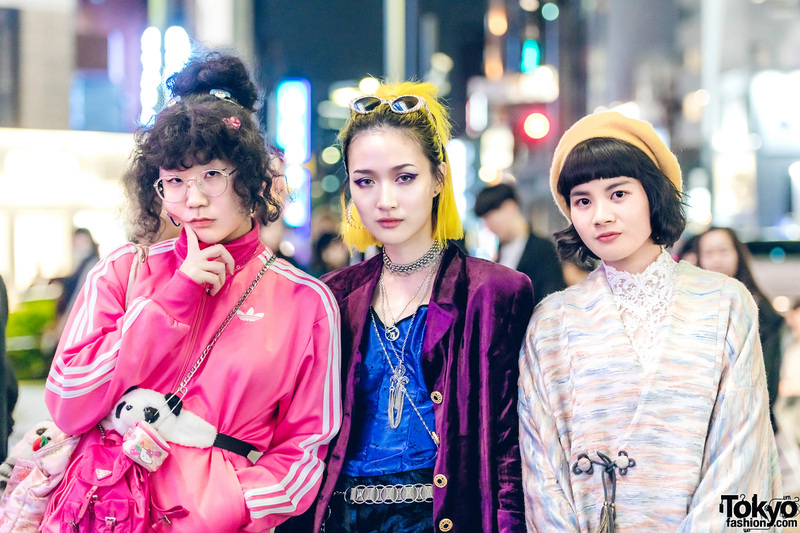 For her fashion needs, Teiyu turns to Punk Cake, Tokyo Bopper, and Little Treasure. 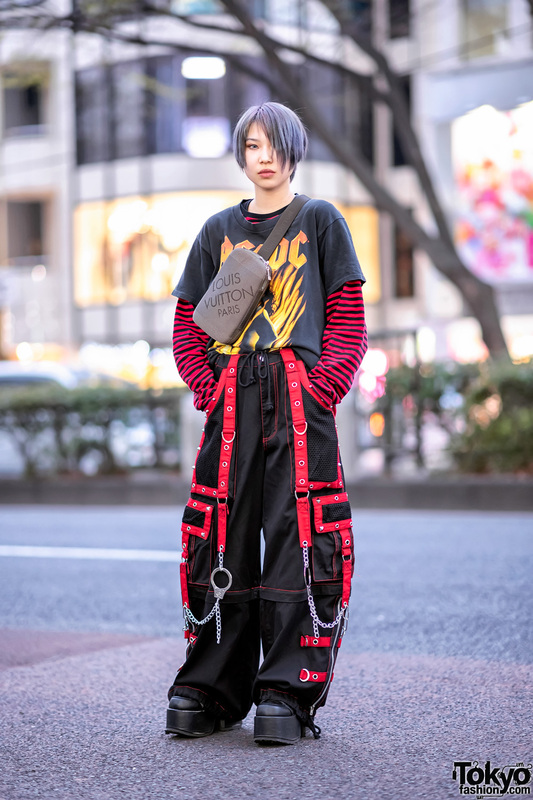 She also enjoys listening to “Haruka” by GReeeeN and is active on Instagram.